Electricity has been carried through copper wires commercially for almost 150 years and copper has done an excellent job of conducting the electricity. However, copper does have it’s flaws. When copper is used to transmit electricity, power is lost to heat caused by resistance in the wire. Copper is also vulnerable to corrosion and the prices for copper have been rising steadily. 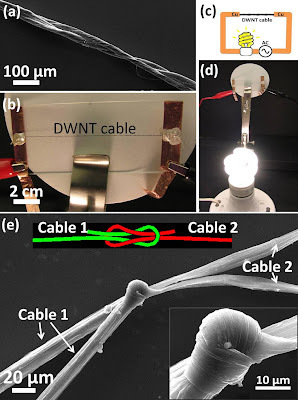 To solve these problems, researchers working with carbon nanotubes have spun the first nanotube wire used to transmit electricity as good as copper wire can. The nanotube wire can conduct 100,000 amps of current per square centimeter while only weighing one-sixth as much as copper. In addition, nanotubes never corrode and don’t lose nearly as much energy by creating heat when electricity passes through them. While copper did get the job done for a long time, nanotubes are the future and will allow for smaller and more efficient electronics. The researchers at Rice University have been working with different types of nanotube structures so that they could find the best shape and technique for making these wires out of nanotubes. 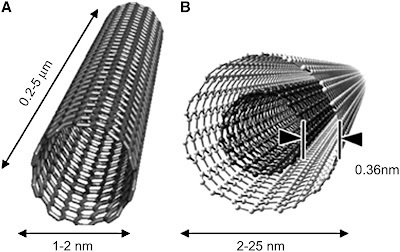 They found that using a double-walled nanotube (as shown in the graphic as example B) doped with iodine offered the best electrical properties. 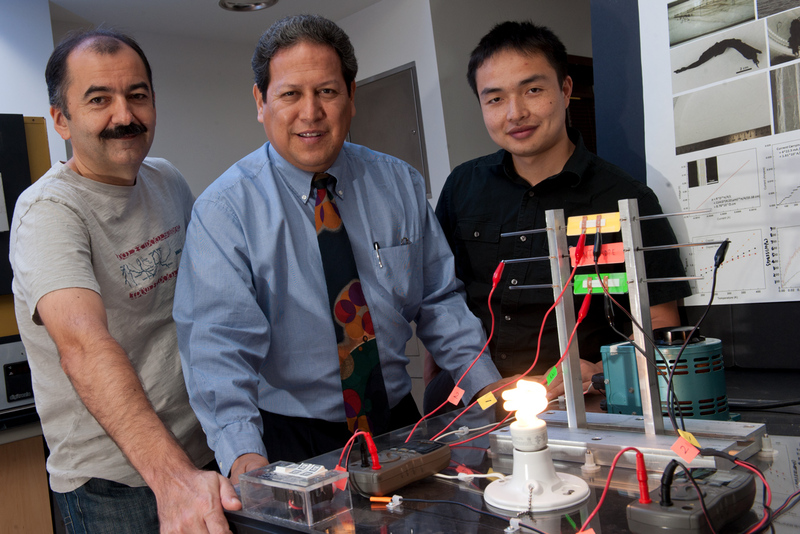 The researchers were even able to tie two pieces of nanotube together and it did not interfere with their ability to conduct electricity. While this is a small scale test, the researchers believe that this can be scaled up to continuous production methods to produce large amounts of wire on a manufacturing line. 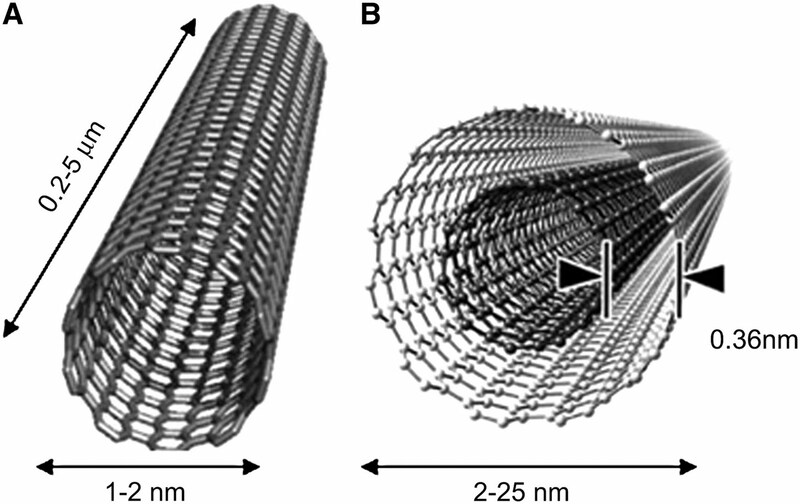 This technology can even be made more efficient by the use of single wall carbon nanotubes in the future so carbon nanotubes will continue to be a subject for research for decades to come. Many corporations and countries are interested in this type of wire, mainly due to the fact that it’s one-sixth the weight of copper, but also for it’s great tensile strength. Boeing is a major investor in this project because they could cut down the weight of the wire in a 747 from 4500lbs to 750lbs using nanotube wire instead of copper wire and this would reduce fuel costs greatly. The U.S. Department of Energy would like to use the nanotubes as part of the electrical grid so that less energy would be lost in transmission of electricity through the grid. Another contributor to the project is Nanoridge, who is interested in making deep-sea underwater electric cables.that are very strong and lightweight. No matter what the use, this technology will allow everything from computers to airplanes to function more efficiently and must be pursued if we are to continue to advance out technology quickly.